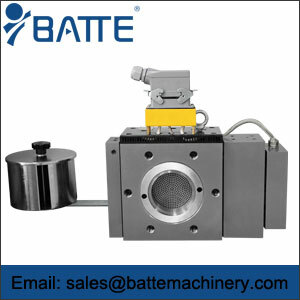 Mesh belt melt filter is th - Batte Machinery Zhengzhou Co,.Ltd. 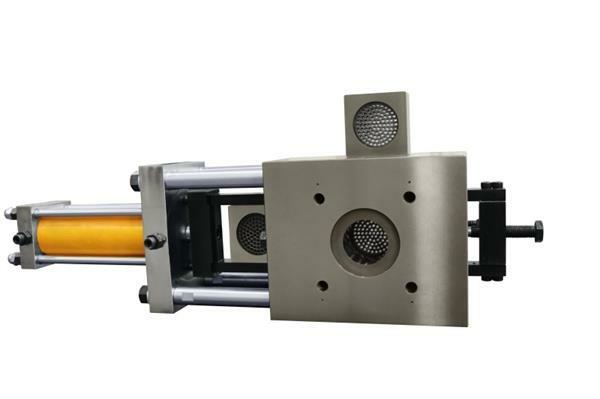 Mesh belt melt filter is the automatic screen changer in the real sense. The use of melt pressure or time control for net movement. The distance and speed of the screen movement can be set freely.. 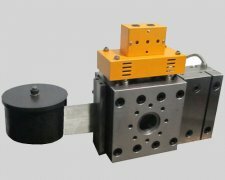 When the pressure or the time to reach the set value, the filter automatically uniform movement, the impurity with the filter out of the mesh converter. After setting up, the net is fully automatic and without manual operation. 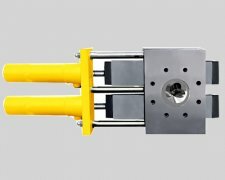 The net belt is flat, the distance is small, the material pressure and the material flow is no fluctuation, and the real realization of constant pressure production is realized..
Net belt type changer adopts water cooling seal, no leakage material, no wear, and is controlled by the control system automatically and cooling, and the net is flexible.. The product is not deformed in the process of changing the net, and the quality is good.. No waste, scrap, raw material consumption and so on. Widely used in production of granulation, cast film, sheet, plate, fiber, all kinds of drawing such as high quality and long or short products. 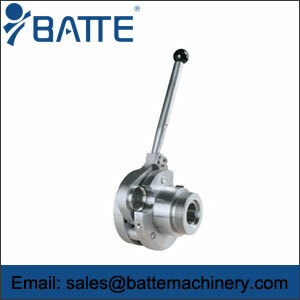 In particular, the production of high precision products which is strictly required for the fluctuation of the material pressure.